Green tea is associated with many health benefits including reducing heart disease, reducing bad cholesterol, and aiding in weight loss. But one benefit of drinking green tea that I was not expecting was the increased motivation aspect. I've been an avid black tea drinker for as long as I can remember, but black tea does not have much of an effect on me, in fact I only drink black tea because of habit and because I like the taste. In the morning I usually drink coffee to give me a slight motivation boost, but one day I wondered if green tea would be better for a motivation boost given that it increases dopamine levels in the brain in several ways. 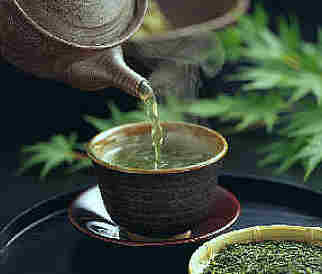 One way green tea boosts dopamine levels is that it is a COMT inhibitor. COMT is a natural enzyme found in our brains that degrades several motivational neurotransmitters, including dopamine, norepinephrine and epinephrine. Green tea contains catechins, a natural flavonol and antioxidant. Catechins act as COMT inhibitors as well as MAO-A and MAO-B inhibitors. Monoamine oxidase type B degrades dopamine so by inhibiting MAO-B as well as COMT, green tea raises dopamine levels in two different mechanisms. But it doesn't stop there, green tea also contains L-Theanine, a psychoactive amino acid that increases dopamine and GABA levels in the brain. I started drinking green tea about 2 weeks ago and already I'm feeling more motivated to do productive tasks. It's much easier for me to work on a task and finish it. I also don't procrastinate as much I did in the past and believe me I am a heavy procrastinator. One thing that I really like about this increased motivation is that it feels natural, unlike the forced motivation of amphetamines I can stop doing whatever it is I'm doing and do something else. I only drank one bag of green tea a day. I tried drinking two bags of green tea once, but I felt no different than if I had drank only one. I am more than certain the effect is cumulative as I did not get any increased motivation the first couple of days of drinking green tea. The brand I used was St. Dalfour organic original Green Tea. You can get it for free by using the link I gave you. It gives you $5 your first order from that site, you just have to pay for shipping. You can also take green tea extract, which contains significantly more catechins than the regular green tea bags, which would result in a higher COMT and MAO-B inhibition, thus increasing the amount of dopamine in the brain to an even higher amount. I find the regular green tea bags to work just fine for me when it comes to increased motivation, however, green tea extract will also provide many other benefits such as increased weight loss when compared to green tea bags.